"Great appointment. Listens carefully and takes time to hear and discuss patient issues." "Dr. Niemczyk is amazing, very helpful, spends as much time as you need." "I have been Dr. Niemcyk's patient since '09...has always taken time to answer questions." "Truly concerned, takes time to evaluate and explain. Courteous and friendly staff." At the Center, we combine modern urologic science with advances in regenerative medicine to provide optimal outcomes for our patients. Our holistic approach encompasses detailed metabolic evaluation with the use of alternative and complementary treatments. Our goal is to provide compassioned personalized care based on mutual respect and trust. We strive to empower our patients through communication, discussion, and education. Specializing in urology and regenerative medicine, Peter Niemczyk, MD, FACS, is a board-certified urologist and leading physician at the Center for Sexual & Urinary Function, with offices in Phoenix, Globe, and Show Low, Arizona. Dr. Niemczyk offers patients a number of comprehensive services for addressing their sexual and urologic health. Dr. Niemczyk studied biocybernetics at Czech Technical University in Prague. After relocating from his native Czech Republic, Dr. Niemczyk enrolled at the Eberhard Karls University of Tübingen in Germany, where he earned his medical degree. Dr. Niemczyk then performed his residency in general surgery, orthopedic surgery, and urology at the University of the Witwatersrand’s Hillbrow Hospital in Johannesburg, South Africa. Following his residency Dr. Niemczyk moved to the United States, first stopping at Beth Israel Medical Center in New York City, where he was a general surgery resident. After a year in general surgery, he attended the Rutgers Robert Wood Johnson Medical School in New Brunswick, New Jersey, where he completed his urology residency. 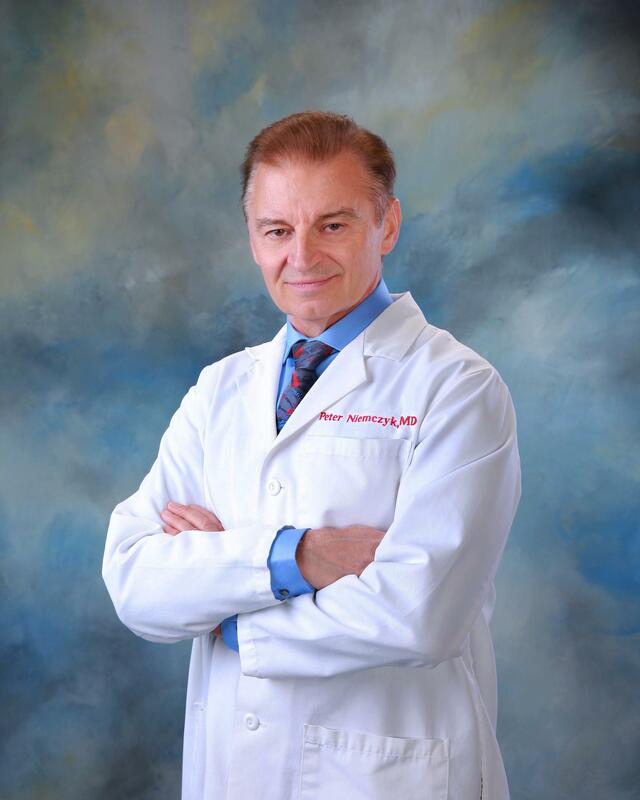 Dr. Niemczyk also received fellowship training from the American College of Surgeons and is certified by both the American Board of Urology and the American Board of Anti-Aging/Regenerative Medicine. Dr. Niemczyk has had a notable medical career that includes over 30 years of experience in urology and regenerative medicine. In addition to his work at the Center for Sexual & Urinary Function, Dr. Niemczyk is an active member in a number of professional associations, including the International Society for Sexual Medicine, International Continence Society, American Academy of Anti-Aging Medicine, and Society of Urodynamics, Female Pelvic Medicine & Urogenital Reconstruction. "He is professional, knowledgeable, very experienced, communication skills excellent. The TURP went very smoothly and my quality of life vastly improved." "Dr. Niemczyk was the only doctor to take the time to figure out what the problem was and that it was caused from my car accident! He is patient & kind as is his staff." "Dr. Niemczyk saw me immediately, performed a cystosopy to determine the condition, and performed surgery to cure the condition all within less than 10 days."